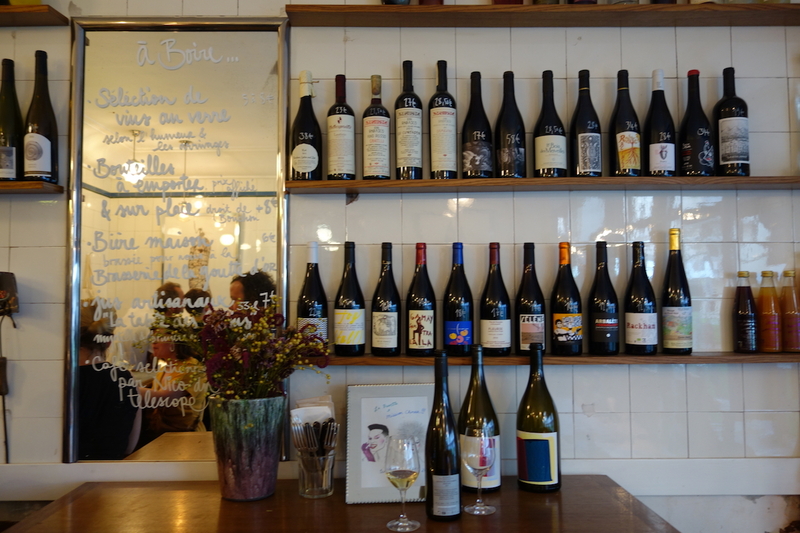 La Buvette, opened in 2013, is perhaps the most stylish and intimate wine bar of its generation in Paris. Its Lilliputian confines are the size of the average e-cigarette shop, and yet manage to contain four small tables, a thin zinc bar, a prep kitchen, and in the rear, an authoritative-looking wine fridge. 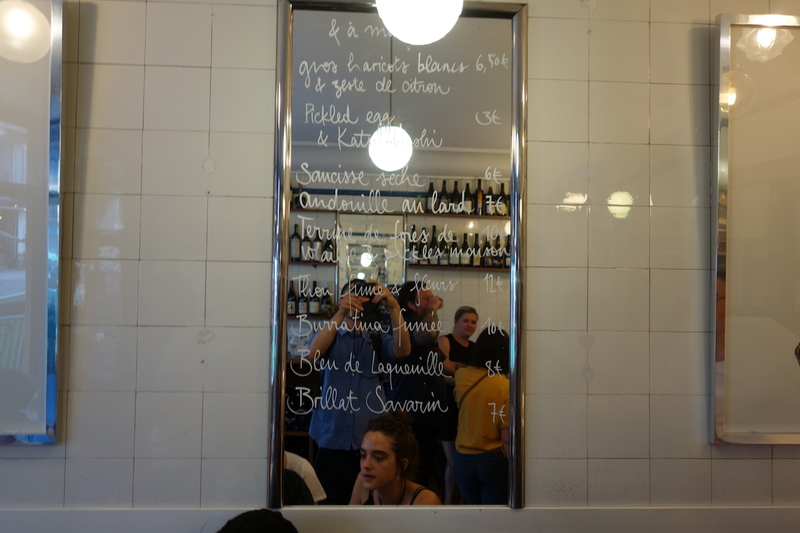 Scrawled on a wall-mounted mirror is the menu: a rotating array of highbrow nibbles, ranging from orange-zested white broad beans in olive oil to thick-cut nubs of andouille au lard, or intestine sausage laced with lardo. Owner Camille Fourmont’s natural wine selection, belying the size of the fridge, is rather limited, but at any given time it contains at least a few sought-after bottles from cults vignerons like Alsace’s Jean-Pierre Riestch or Sologne’s Julien Courtois. Wine pricing is high, compared to traditional wine shops, but the 8€ corkage fee makes bottles consumed on-site a bargain compared to restaurant wine lists. 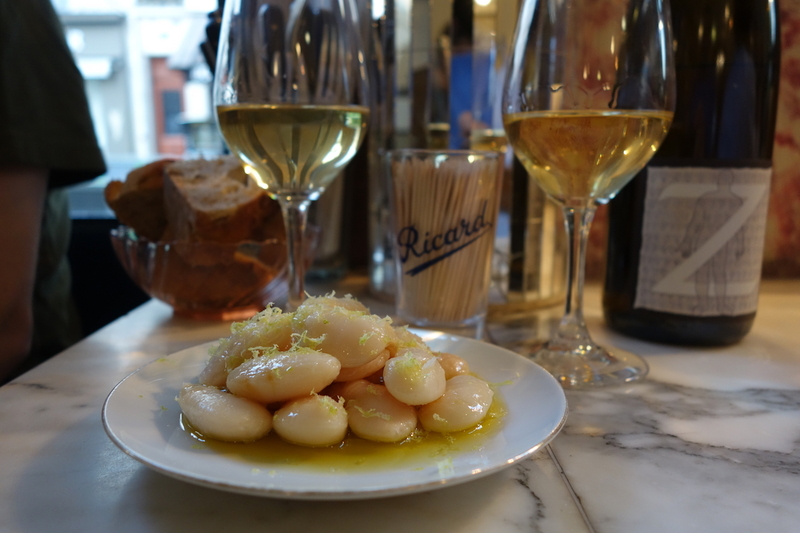 La Buvette closes early at 10PM, making it better suited for early apéros than nightcaps. The actual offering of La Buvette has never much diverged from the scores of other caves-à-manger that dot east Paris. 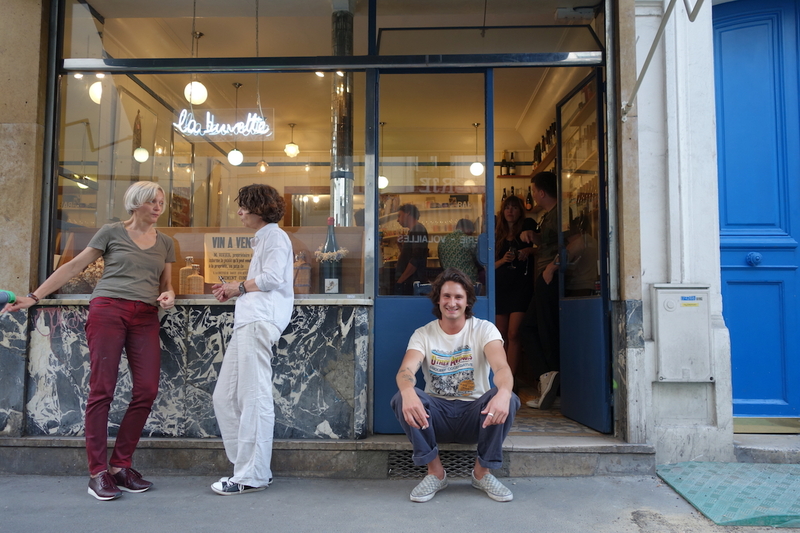 But more than most others, Fourmont foresaw the international media potential of a tiny, impeccably well-designed Paris natural wine bar. From her tiny zinc counter on rue Saint-Maur, Fourmont, a self-promoter of appreciable genius, has organized La Buvette events in Tokyo, consulted on hotels, and arranged her own pop-up events with famous foreign chefs. Today, the discrepancy between the renown of La Buvette and the limited caviste-apéro services it offers is astonishing. Fourmont herself is less often on premises, having delegated most night shifts to her new lieutenant Travis Monague, a young American expat who is about her equal in wine chops, but who, being American, is more consistently enthusiastic and friendly to strangers. He handles the crowds well. Many of the local regulars might have moved on. 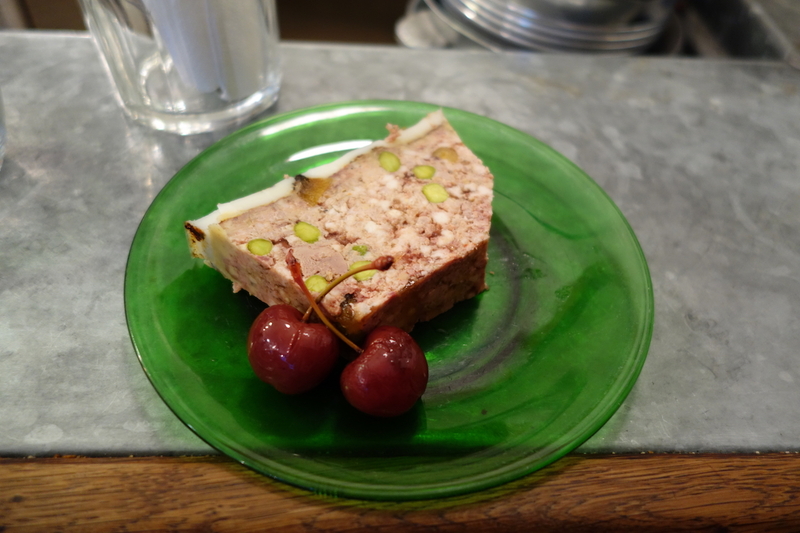 But La Buvette still draws droves of young, questing Anglophones, to whom the idea of a beautiful, tiny wine bar – of the type that could never pay the bills in the New World – has eternal appeal. Hours: Open Weds-Friday from 5-10pm. Open Saturday & Sunday from 11am-10pm. Closed Monday & Tuesday. 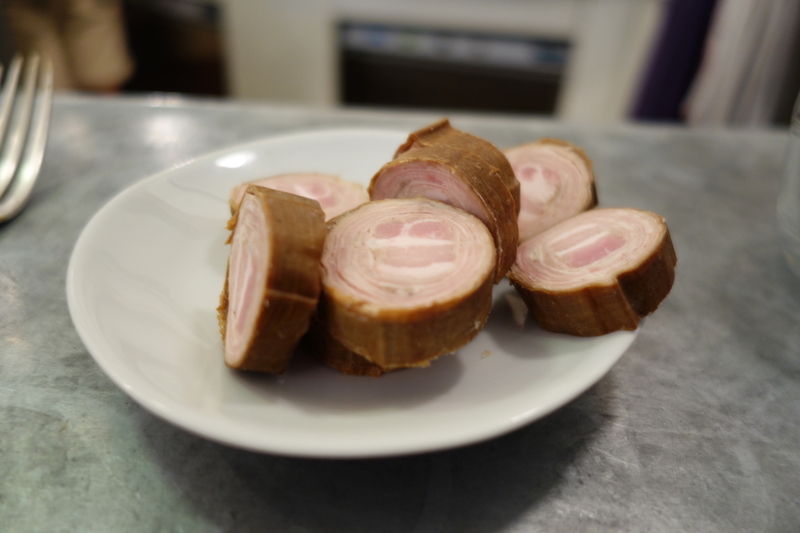 Le Figaro (2013) rather prophetically called La Buvette’s a naive, juvenile, and deliciously amateur cuisine, whose only merit is to improve the idea of the contemporary snack.